So our team is rolling, we're looking at only having picks in the 2nd, 5th, 6th, and 7th rounds. Now obviously this is early for draft talk, but we also aren't doing much talking about anything else right now so let's bring up some different ideas on how to approach the draft/offseason. Our team currently has few holes to be filled. CB depth, but Apple is playing well, Safety position with Coleman/Bell debate, and probably linebacker are really the only areas that you could say the Saints could use some help as Davenport and the price we paid looks like it will be worth it in the long run. So the question is, do we sit back on our laurels, possibly with the #64 pick as our first pick, or do we look to pull another move and mortgage a 2020 1st round pick and the 2nd round pick to trade into the 1st round of this draft? Obviously it comes down to who is available and how we view them as a talent to consider it. QB - Is Taysom Hill really the answer? I'm on the side of no for the moment and I don't think Bridgewater is either but better than nothing if Brees hangs it up at end of the year. RB2 - Ingram is due to be a FA if I'm not mistaken, do we pay him or let him walk looking to draft a workhorse to pair with Kamara, if so who are options? OL Depth - Armstead is always missing a few games, Peat has been good but I think will need paid soon, and just OL depth in general is always good. TE - Still no playmaking TE but that's fine for right now. DT - Next to Rankins isn't a high caliber palyer right now, but a solid one. Maybe a potential area to address. LB - I'm liking Anzalone and Davis, but the 3rd LB spot is meh. Could use someone else there. S - Coleman is decent, Bell is decent, might need someone to put next to Williams. CB - I think Apple has really helped our secondary a lot lately, seems to fit in well across from Lattimore and our slot/nickel spot should be fine once Patrick Robinson comes back though as that will provide us a good trio at CB. QB- I think Teddy Bridgewater has the talent to be our QB of the future. I liked him coming out of Louisville, and watched him quite a bit with the Vikings. He appeared to be all set for a breakout year before getting hurt. It appears by most reports I've read/watching him in the preseason that he has recovered fine from the knee injury. I think this is a perfect offense for Bridgewater to have success in. 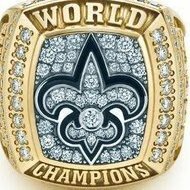 RB- If Brees retires, I hope we bring back Ingram. Having that Kamara/Ingram duo to help a new QB in our offense would be huge. I don't think Ingram is going to demand a huge contract. OL Depth- I think that would be a good one to address. Unger won't be around forever, and I'd think Peat may be an OL we let go at some point if he asks for more than he is worth for his next contract. DT- The trio of Jordan, Rankins and Davenport on the DL has the potential to be a scary good DL. If we can add another good DT next to Rankins, we may be in contention for one of the best DL's in football. LB- I agree regarding Anzalone and Davis. Davis has especially been a huge upgrade for us, and it appears Anzalone is finding his way now too. That 3rd spot could use an upgrade. S- I like the Bell/Williams combo, but I'd be for adding more depth. Well there are reports that Dwayne Haskins, tOSU QB, might decide to declare early as this class is quite weak, and it will only improve his draft stock to not have to compete with Tua next year. If we had a chance to draft him, I think he would be an ideal fit in the Saints offense with Brees and Payton being able to help him overcome his shortcomings, dealing with pressure/sliding in the pocket, while he ranks in or near elite in size, arm strength, accuracy, etc. I'll have to check out Haskins, haven't had much time to watch any college football this year. As for Bridgewater. I don't think this is any sort of indictment against Bridgewater, but rather Payton has a fun toy to utilize in Hill this year as he is so versatile. When Payton puts Hill in, he can literally line up at QB, RB, FB, TE, or WR. Bridgewater cannot do the same with any similar amount of effectiveness at those other positions besides QB. Hill is a freakish athlete that few can match in terms of size/athleticism. In other words, Hill is an enticing gadget player, but Bridgewater comes in at the end of the games to relieve Brees as he is our true backup QB at this time. I don't think Payton takes out Brees until really late as he likely wants to see Brees have as a big of a statistical year as possible as his chances to get an MVP are likely this year or next (if he plays another year). The lack of Teddy throwing is us running the clock out with backups in the game. Yea that's no indictment against Teddy. 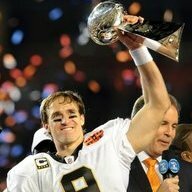 Payton hardly ever takes Brees out, whether we're blowing a team out or getting blown out. Even if Brees does nothing but kneel out the clock or hand the ball off. I think Teddy could have some success here. If you can't succeed in this NO team as a QB, you probably just can't succeed. I'd rather see what we have with Teddy then draft some questionable. That was just one option. I wouldn't offer up the house to get a QB this year, maybe 2nd this year and next to move up, but not sure a 1st unless Payton just falls in love with him like he did with Mahomes. I think that depending on who falls, I would definitely be in favor of trading our 2020 2nd with our 2nd this year to move up for the right player. With the team we have now, I'm 100% in favor of selling the future away to keep us as good as we can possibly be before Brees retires. I'll trade the next ten years for another superbowl and not think twice about it. Is there a player that could fall to a realistic spot that you would mortgage a 2020 1st round pick on? The only 2 that I would consider mortgaging your extreme situation of capital for are Bosa and Oliver and I doubt either drop out of the top 2, unless some QB rises super high, and even then I doubt teams would trade one of those top 3 picks for anything sort of 5 first round picks in 3 years, including 2 top 15 this year. Outside of them, I'm not sure if there is someone worth jumping up using a 2020 1st on. There may not be, but I wouldn't hesitate if there were. So I think it was Nick Underhill that reported that under Ireland, the priority for draft pick goes QB, and then positions that directly effect the QB, that being DL, OL and CB. Then all others. From the above 4, I see us only really set at DL. Davenport, Jordan and Rankins are a trio of monsters. With regards to OL, with big contracts for Kamara and Thomas coming, we might not have the money to pay Peat. Add in his ability to swing outside to a play tackle and I could see us drafting either an OG, or promoting Cameron Tom and drafting a good OT prospect for depth. For CB, Lattimore and Apple have proven a good pair, but after that? Crawley is most likely gone, PJ Williams the same. P-Rob is coming back from injury. A talented CB who drops could really replenish our depth and provide insurance if Apple prices himself out of our price range once his rookie deal is up. With QB, I think it all depends on what happens this season. If we win the entire bloody thing, I honestly could see Brees retire. There was an AMA on reddit with a reporter recently and they were asked this question, and they basically said Brees being a family man is ready to spend more time with his family. If that scenario happens, I think we'll give Teddy B a shot. All the talking heads can say "giving up a 3rd for a good back up" etc etc., but that is too short sighted for Loomis and Payton. They wanted an entire year of mentorship from Brees, and learning the system from Payton and co. It's essentially what Mahomes did with Alex Smith, except Bridgewater did it older. After that, we're set at S (Coleman is getting cut) and LB (Te'o is getting cut and our coaching staff don't really place an emphasis on the position). I can't see us spending another high pick on a WR unless a talented one falls. Same thing with RB. Trade that 2nd rounder for Patrick Peterson. I’ve seen a couple Saints fans suggest trades this week. Ya’ll know the traded deadline is long done been passed now, right? Ewwwww no. 2nd rounder for a 29 year old CB on an expensive 2 year deal? No thanks. He’s be looking for an extension as soon as this time next year. Its a poor move if you're thinking future, but if Brees comes back next year and we want another strong shot at the 'ship, I absolutely make that trade even if its just a one year rental. PP is THAT good.